Affordable Prices – Local customers look for the best value when shopping for vinyl siding. And On Time Remodeling Corp provides competitive rates on the leading siding brands, including professional installation and dependable service. Working in the region since 2008, On Time Remodeling Corp remains one of the leading vinyl siding contractors with fair prices and value-added service. 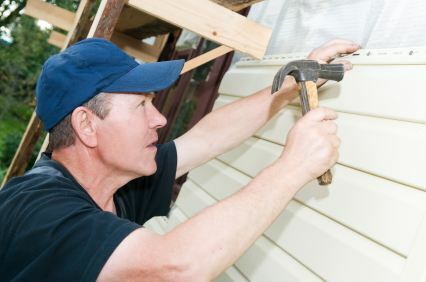 Quality Workmanship – Proper vinyl siding installation requires skilled tradesmen with an experienced hand and efficient tools. Siding panels may be simple to fit together, but installing corner trim, soffits and fascia takes a steady hand. Our expert vinyl siding installers are fully trained and equipped with the right tools for the job. For removal and replacement or new construction, On Time Remodeling Corp contractors provide quality workmanship and dedicated service. Warranty Coverage – Ask about our extensive warranty coverage, providing customers with value and peace of mind. On Time Remodeling Corp offers warranty coverage on our workmanship and full manufacturer’s warranty on vinyl siding products and components. Protect your investment with dependable service, quality products and a solid warranty. On Time Remodeling Corp offers affordable prices and quality workmanship on vinyl siding installation, repairs and replacement. Improve the look and efficiency of your home with low care vinyl siding from On Time Remodeling Corp. Call (914) 200-1324 today and arrange for your free estimate.